Trinidad played an important role in the Allied war effort, in doing so World War II had a significant impact on the social, economic, racial and cultural development of Trinidad. On September 2, 1940, nearly a year after the World War II began, British government, Prime Minister Winston Churchill agreed to allow the United States of America military to establish and operate bases in several British Caribbean territories. On October, 10 1940, a memorandum was sent to the Governor of Trinidad and Tobago by Admiral John W. Greenslade of the United States of America stating his visit to Trinidad for the purpose of investigating the location and facilities to be leased to the United States of America for naval and air bases and army establishments. The memorandum included the request for location near shore, areas for defence, training, and storage of supplies, hospitalization, landing fields, and fleet anchorage. The Governor of Trinidad and Tobago, Sir Hubert Young along with his advisors Mr. Grinnell and Mr. Beard questioned a number of facilities requested by the United States and proposed an alternative site, the Caroni Swamp. The United Stated engineer, Commander Bragg, stated that the current state of the Caroni Swamp at the time was unfeasible for military intent and would take fifteen years to drain and construct to meet the requirement for the military use. In addition Governor Young was aware that the local population would resent the idea of using North West Peninsula and as a result cause friction, however the United States government were adamant on setting up their bases on Wallerfield / Sangre Grande and Chagaramas. The British Government and the United States of America agreed on a Bases for Destroyers Agreement in which the United States was granted British islands to establish their naval or air bases on ninety-nine year free leases on the Newfoundland, Eastern side of the Bahamas, Southern coast of Jamaica, Western cost of St. Lucia, West coast of Trinidad, Antigua and British Guiana in exchange for fifty destroyers which was also referred to as the "flush-deck" destroyers or the "four-pipers". In Trinidad the North West Peninsula including the Five Island in Chaguaramas (See Appendix A) and Waller field were leased to the United States for naval and air base, this resulted in the removal of North West Peninsula residents. Britain's motive for entering into the bases for destroyers' agreement was an attempt both to strengthen its forces and to enlist the United States in the defense of its colonial territories. British Prime Minister Churchill cautioned American President Franklin D. Roosevelt that if Britain was defeated, its' colonial islands close to America could become as threat to America if they became German territory. Therefore the United States of America was initially a neutral party during the first two years of the war and their aim for the deal was made not only to better the Allies' chances against the Axis but also to ensure that no other European power gained a stronghold in the Americas. Trinidad was the assembly point for the vital oil tankers; the government's political alliance with the United States did not directly put at the country at risk however the construction of the American bases had a remarkable socio-economic impact on the country. According to Brereton, Trinidad played the following significant roles during the war in assisting the United States; it was the convoy-assembly point transmitting tankers from the Caribbean oil ports across the Atlantic to North Africa and Europe, secondly the Gulf of Paria was used by US carriers and airplanes for their final exercises before going to the Pacific Battleground via the Panama Canal. Thirdly, planes for the Eighth Army in North Africa were ferried through Trinidad and lastly vessels and civilian planes from South America had to stop at Trinidad for clearance to proceed to North America and European destinations. 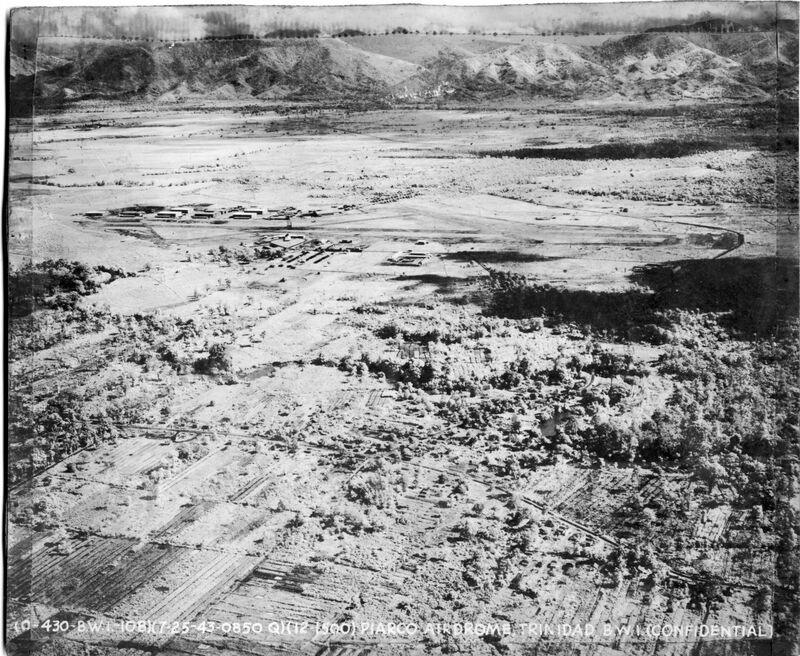 The American rights to the airfield were obtained via the Destroyers for Bases Agreement in September 1940 when the United States transferred fifty destroyers to Great Britain in exchange for Army and Navy base rights on British possessions in the Americas. In 1941, Trinidad was alarmed by a large number of Nazi U-Boats prowling of its coastline, intent on disrupting British shipping in the Caribbean Sea, and using the Vichy Frenchcontrolled island of Martinique as a possible supply facility. Although the first United States Army personnel arrived on Trinidad on 24 April 1941, it was only after the United States' entry into the war, that Allied planners, in early 1942, decided to counter the Nazi threat by establishing major air and naval facilities on Trinidad. 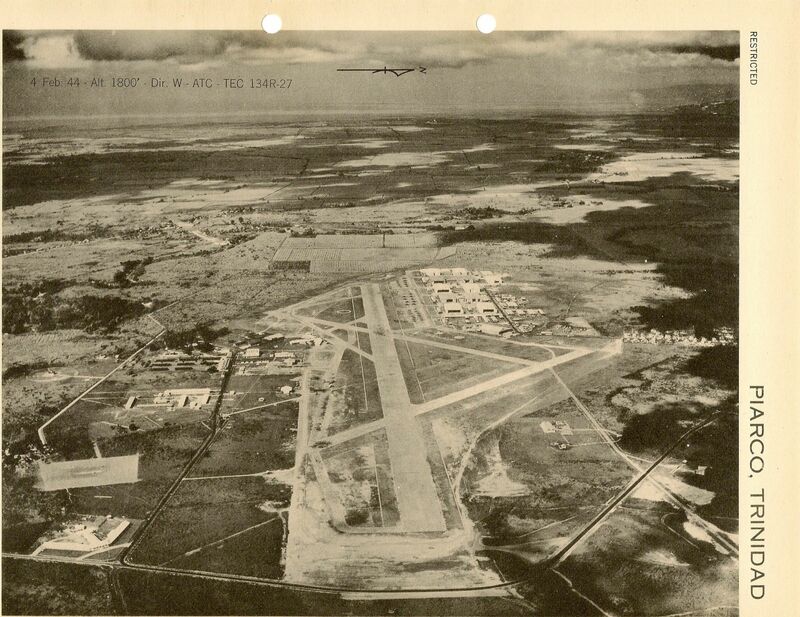 Waller Army Airfield was activated on 1 September 1941 with the assignment of the 92d Service Group. The unit's mission was to establish a flying facility within the United States Army Fort Read post. The unit consisted of the group's Headquarters, and the 92d Air Base and 309th Material Squadrons. The group was assigned to the Caribbean Air Force. Waller Field was named after United States Army Air Corps Major Alfred J. Waller, a distinguished World War I combat pilot, killed in the crash of a Consolidated PB-2A at Langley Field on 11 December 1937. The airfield was intended to have four runways, but the two southern ones were cancelled due to the nature of the ground. 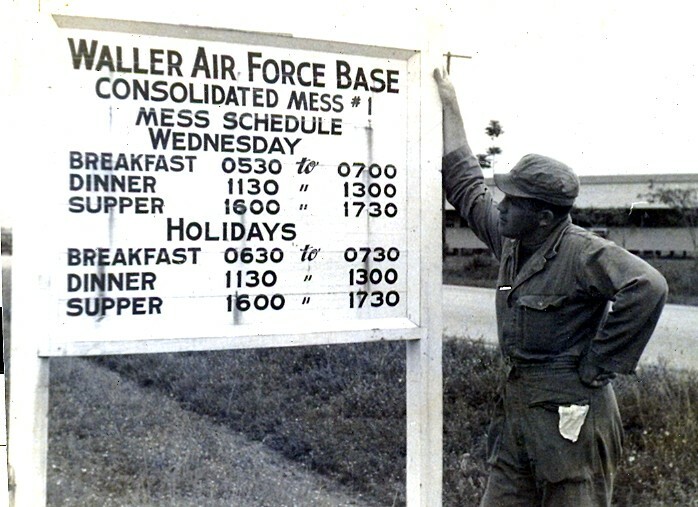 Waller was built to be the premier US combat airbase in Trinidad, but events overtook the plan. The South Atlantic Air Route to Europe quickly developed and became the most often used method of getting aircraft to the African and European theaters of war. Air Transport Command flew aircraft to Waller from South Florida airfields, then from Waller, aircraft were flown to Belem Airfield, Brazil, then across the South Atlantic Ocean to Freetown Airport, Sierra Leone and then to North Africa or England. Airfield congestion at Waller became so acute that the combat aircraft, the bombers actually confronting the U-Boats had to be moved out to Edinburgh (Carlsen) Airfield when it was completed. 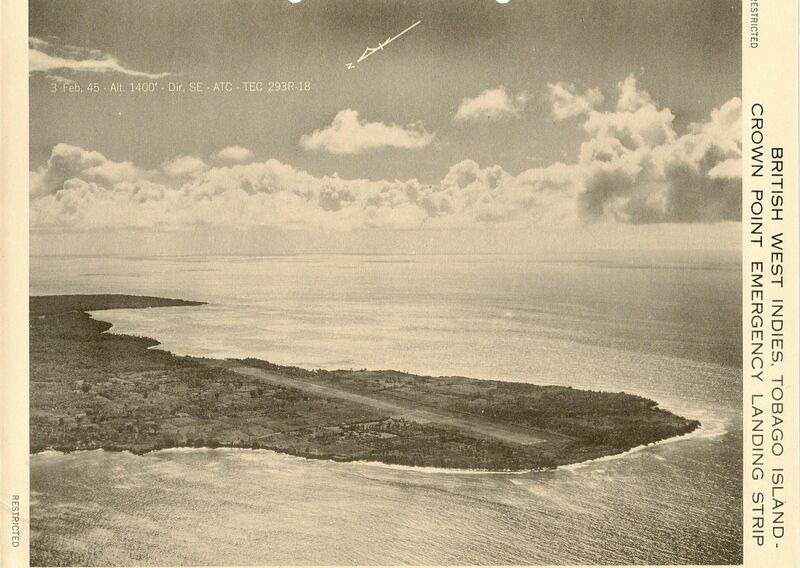 With the establishment of United States bases on Trinidad and other Caribbean islands, the Nazi menace was eliminated by the action of numerous air and naval patrols. In 1943, President Roosevelt visited Waller Field on his way to the Casablanca Conference in North Africa.